Whether you're celebrating the birth of a child, kindness of a friend, the closing of a business deal or sending condolences... Flora Verdi will make any occasion special. 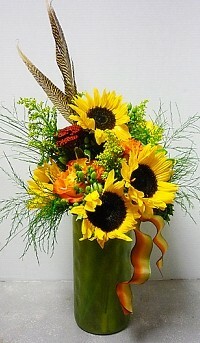 Modern Design, Vintage Passion ~ Wilmington's most innovative florist! We hope you enjoy your online shopping experience with secure 24-hour ordering right at your fingertips. If preferred, you may call us to place orders direct at 910-815-8585. Come and visit Flora Verdi in historic downtown Wilmington, NC on the banks of the Cape Fear River. In addition to flowers you'll find an eclectic selection of jewelry, pottery, stationary and many other unique and original gifts. 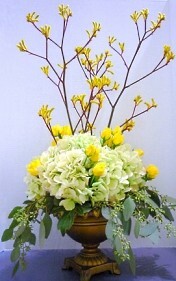 * Order beautiful, one-of-a-kind Wedding Flowers and Party Flowers from Flora Verdi. 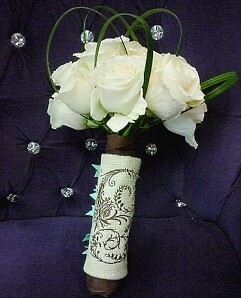 We will ensure your special day is a blooming success - large or small, formal or casual! Call us in advance at 910-815-8585 to set up an appointment for a consultation. Bloomers is located in the heart of Wilmington's premier wedding district - Wilmington's historic downtown - close to many wonderful wedding venues and event spaces. * Shop for a variety of Unique Gifts, including plush stuffed animals, balloons, fruit baskets, gourmet baskets, scented candles, silk arrangements, home décor items, baby gifts, candy & chocolates, pottery, stationary, jewelry, greeting cards and more! 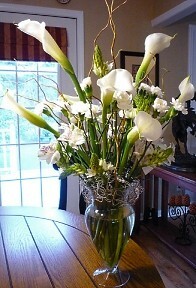 Thank you for visiting our website for flowers delivered fresh from a local Wilmington, NC florist and easy online ordering available 24 hours a day.